Let me tell you from experience as a kid; getting shocked by an electrical outlet is not pleasant. 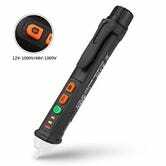 So if you’re ever planning on doing any electrical work around your house, you’ll want this affordable voltage tester. 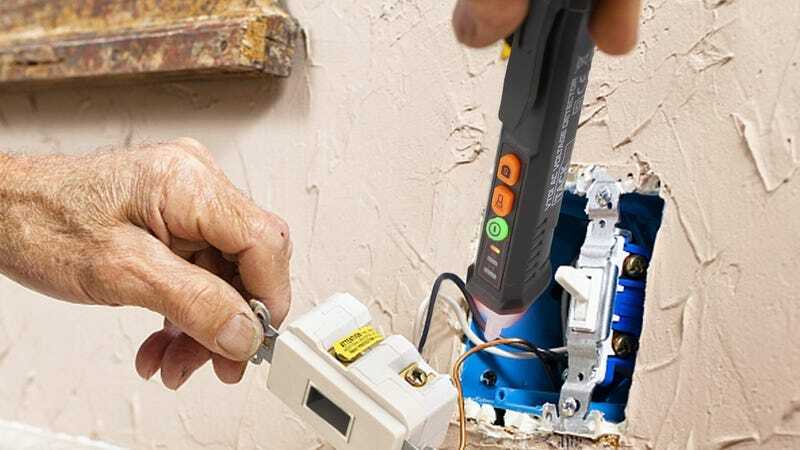 Just place the tip near a wire or outlet, and it’ll beep and light up if it detects current, and even differentiate between three different voltage levels. Oh, and it’s a flashlight too. Nice.